Atlanta Motor Speedway and Charlotte (N.C.) Motor Speedway, both Speedway Motorsports Inc. properties, have opened campgrounds for use by Hurricane Florence evacuees. 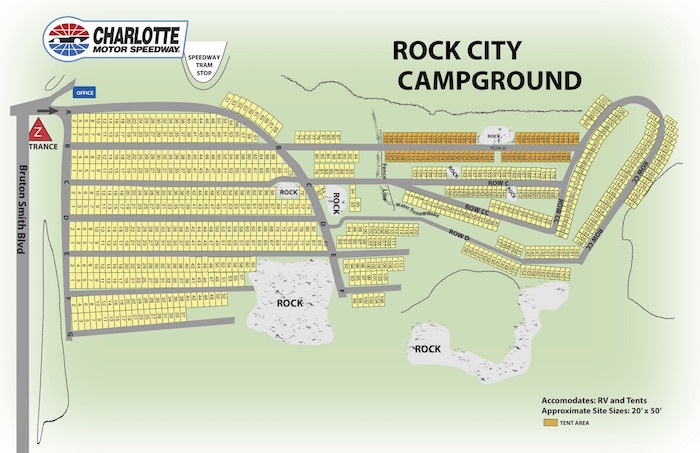 Charlotte Motor Speedway opened its Rock City Campground at noon ET Tuesday. The campsites include access to bathhouses. Evacuees wishing to stay there are asked to check in at CMS’ Camping World Racing Resort office at the zMax Dragway entrance. 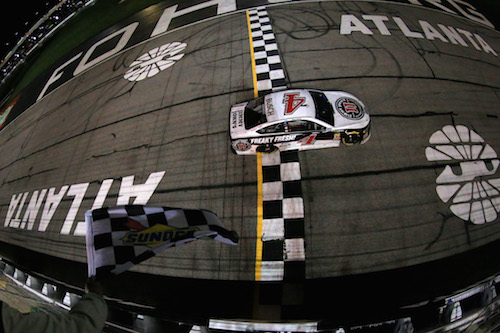 Atlanta Motor Speedway is offering spots for dry RV and tent campers in its Legends Campground, free of charge, and in its Premier Campground for $20/night. Guests in the Legends Campground will have access to hot shower and restroom facilities at the Rennai Shower Stage. Spaces in the Premier Campground include sewer, water and power. 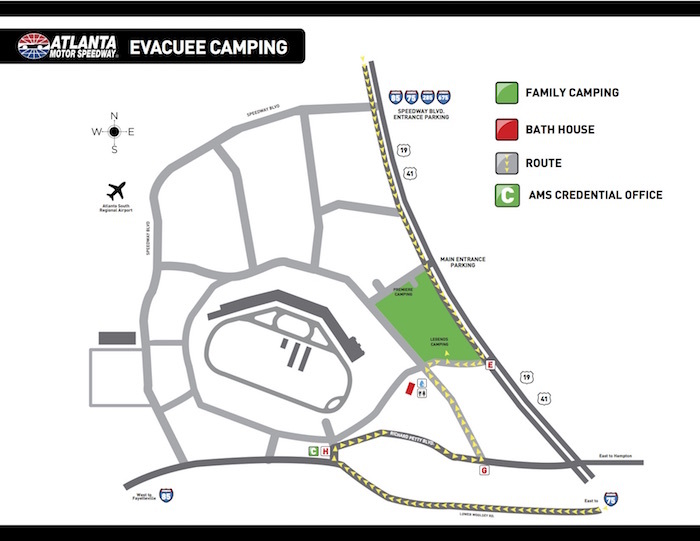 Access to both campgrounds at Atlanta is available from entrance E of GA Highway 19/41. Directions and assistance are available at the AMS ticket office/gift store building.